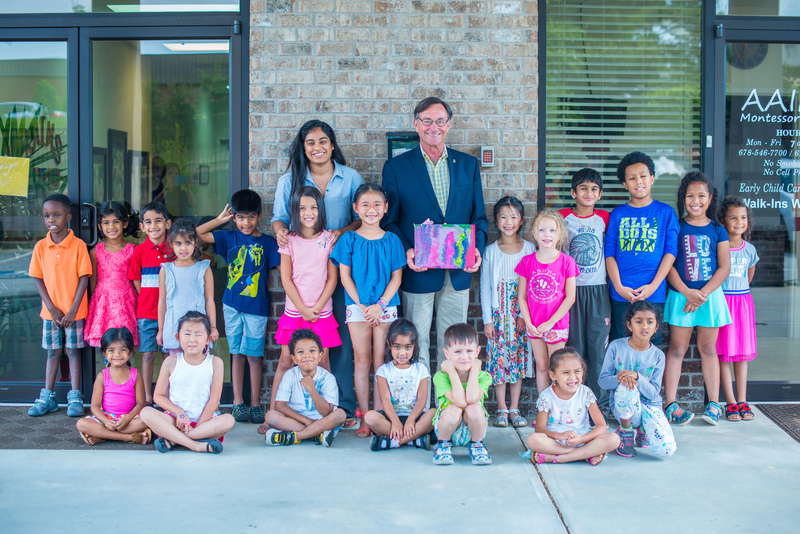 It was so exiting to have the mayor of Suwanee visit our first ever Art Exhibition! A big thank you to Mayor Jimmy Burnette for his time! The students created work exploring abstraction, self-portraits, and mixed media collage. The show was a culmination of our work from the whole summer.